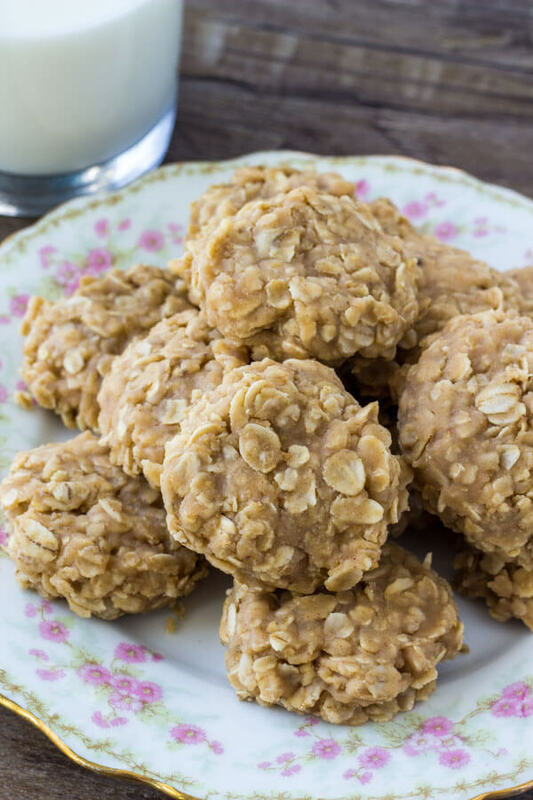 Peanut butter no bake cookies are filled with peanut butter and oatmeal for the perfect salty, sweet snack. They’re insanely easy to make, only 6 ingredients, and completely addictive. 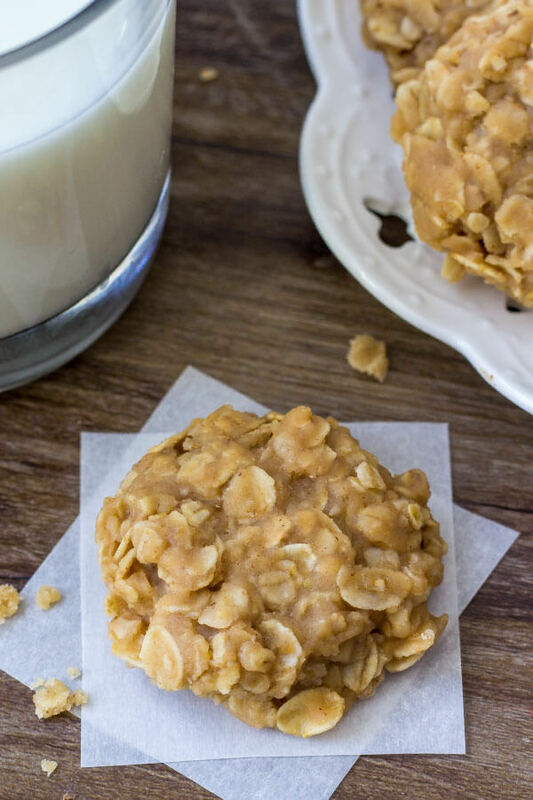 These no bake peanut butter oatmeal cookies just might be my new favorite peanut butter recipe. 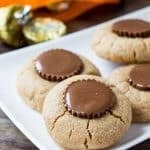 They’re perfectly chewy, filled with peanut butter, and you likely already have all the ingredients in your pantry. 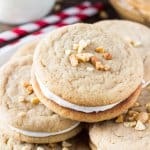 So they’re the perfect recipe if you need a last minute cookie recipe. A few weeks ago I shared my recipe for haystack cookies – which are also known as no bake chocolate oatmeal cookies. They’re soft, chewy & remind me of being 5 years old in the best way. 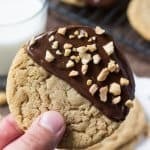 And these peanut butter no bake cookies are their peanut butter cousins. Can I use crunchy peanut butter or smooth? Whatever you prefer. 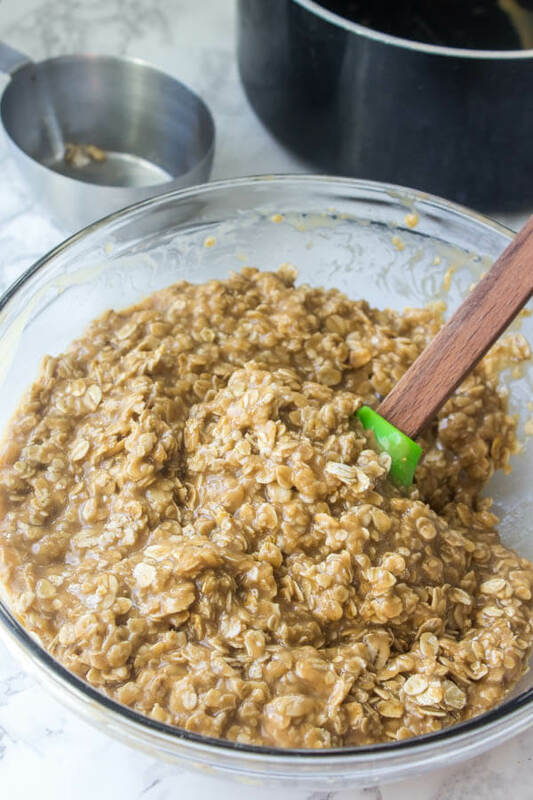 And you can use old-fashioned or quick oats. I just don’t recommend steel cut oats though because they’re too hard. In a medium saucepan melt together the butter, sugar, and milk while stirring. Then bring to a gently boil for 3 minutes while stirring (you need to keep stirring/whisking so that the milk doesn’t burn). Then remove from the heat and stir in the peanut butter and vanilla, followed by the oats. Drop tablespoon (or really whatever size) mounds onto a cookie sheet lined with wax paper (or parchment). 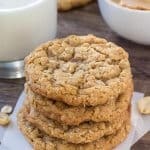 The only trick for making these no bake peanut butter cookies is to make sure that the butter, sugar and milk are truly boiling for a full 2 minutes. Otherwise the cookies won’t set. It’s really important to constantly whisk so the milk doesn’t burn. Or even dip the bottom of each cookie in chocolate after they’ve hardened. 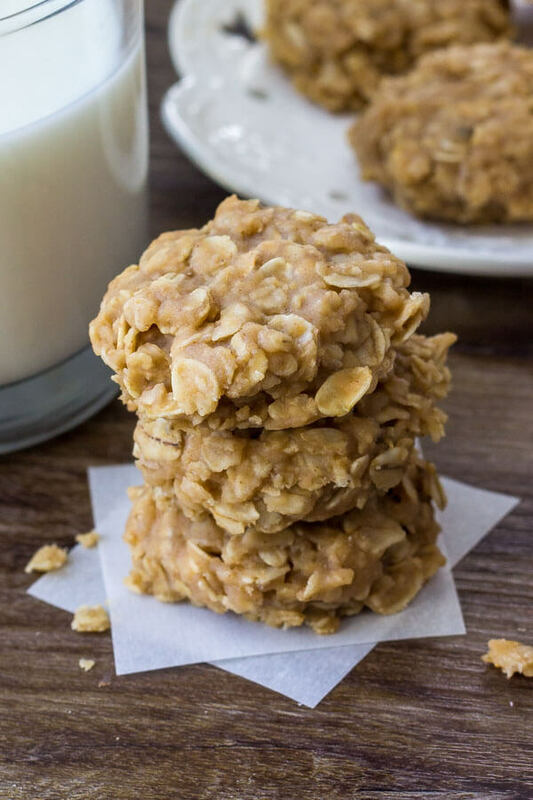 You’ll seriously love these no bake peanut butter oatmeal cookies thanks to their delicious texture and big peanut butter flavor. Not to mention that they’re crazy easy to make too. So seriously? What’s stopping you???? 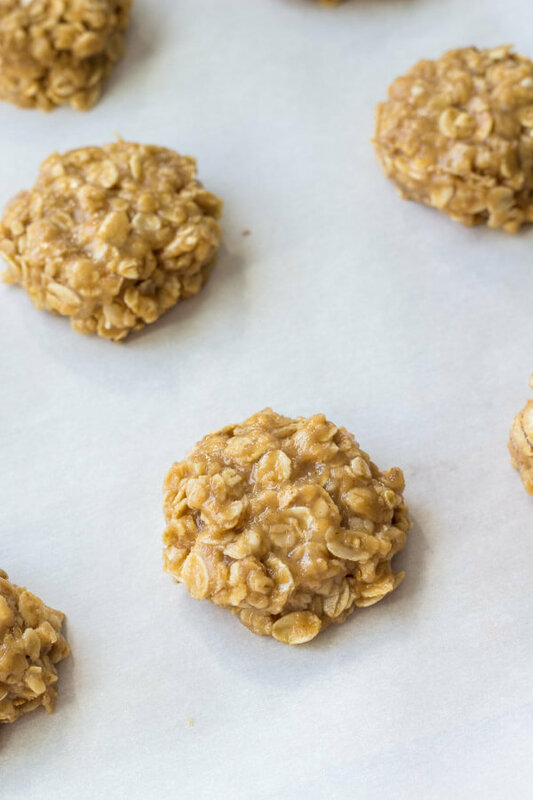 Peanut butter no bake cookies are filled with peanut butter and oatmeal for the perfect salty, sweet snack. They're insanely easy to make, only 6 ingredients, and completely addictive. Melt together the butter, sugar and milk in a medium saucepan. Bring to a boil for 2 full minutes while whisking constantly. Remove from the heat and stir in the peanut butter and vanilla. 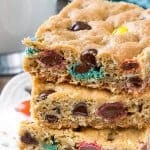 Drop tablespoons of the batter on a lined cookie sheet. Flatten the cookies slightly with your fingers. *Store cookies in an airtight container in the fridge or at room temperature. Can you substitute monk fruit sweetener instead of regular sugar? I haven’t tried with monk fruit sweetener – so I can’t be sure of the results.